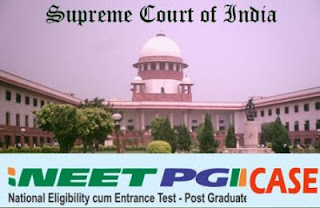 NEET Hearing 14th Feb 2013 Updates - AcrossPG Exams! NEET PG case (T.C. (C)No.98/2012) is listed as Item no. 3 in the Supreme Court final cause list for Court no.1 (Chief Justice’s court) today on 14th Feb 2013. NEET PG case discussion has been started in CJ Court. Do you think CJ will give verdict on NEET case today? Please leave your views by commenting on this post and participating in this poll. Do you think we will get verdict on NEET on 14th Feb 2013?